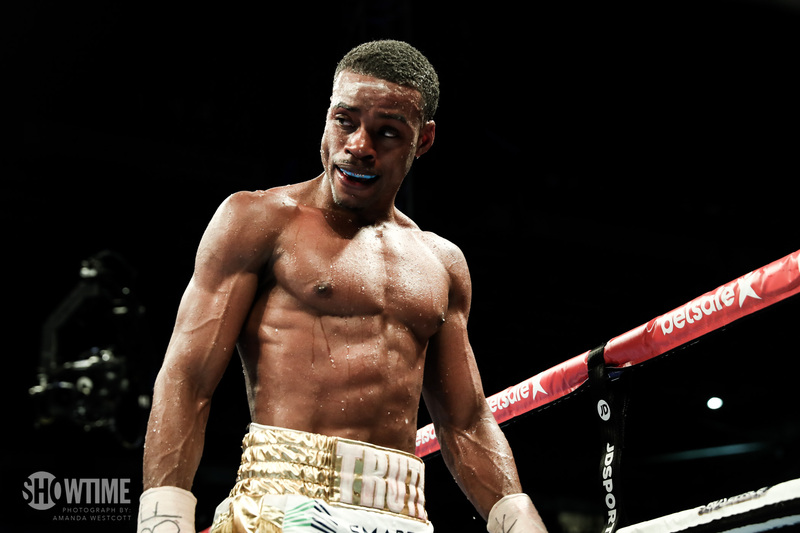 Fighters progress at different rates and that was shown on the big show at the weekend where Errol Spence was making a defence of his IBF welterweight title and Marcus Browne was fighting in a ten round support fight. Both were members of the US Olympic Team in 2012 which failed to win a medal. Spence was the only one to make it to the quarter-finals and the US had to rely on Claressa Shields to put an American on the podium. Spence is a world champion and Browne despite his 21-0 record is probably a year away from a title fight and his name has yet to come up when discussing challengers for Sergey Kovalev, Adonis Stevenson, Dmitry Bivol and Artur Beterbiev. Despite not winning a medal the US men’s team have done well so far as professionals. Rau’shee Warren and Spence have won world title and Terrell Gausha, Mike Hunter and Dominic Breazeale have challenged for world titles. Jose Carlos Ramirez fights Amir Imam for the vacant WBC super light title in March and Joseph Diaz is the No 1 rated feather with the WBC so is in line to challenge Gary Russell, who incidentally qualified for the 2008 Olympics but passed out in the dressing room before his first fight. That only leaves Jamal Herring who was the oldest member of the Team and with a 16-2 record it does not look as though he will progress further. That’s not a bad return so far for a Team who were flops in 2012. Good to know that Roy Jones is finally going to put away his gloves. Surely one of the most talented fighters of all time it has been a real shame to see him blemishing his legacy by fighting on long past the time when there was any sensible reason to do so. He should have retired after beating Antonio Tarver in 2003 when he was already an eight-time champion over three divisions and 49-1 with his only loss a disqualification. He could have been inducted into the Boxing Hall of Fame in 2008 ( You have to have been retired for five years to get on the ballot paper) but hopefully after he beats Scott Sigmon in Pensacola on 8 February he will focus on promoting and get to Canastota in 2023.